A winter wonderland of birthstone snowflakes crafted in sterling silver! This special keepsake is a lovely way for mothers and grandmothers to celebrate the holidays. 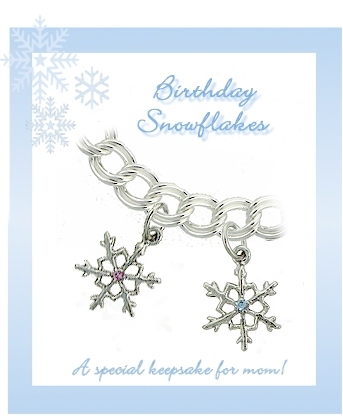 The large snowflake represents mother and is set with seven of mom's birthday stones. 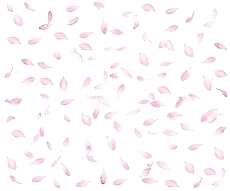 A smaller snowflake is set with one birthday stone and each small snowflake represents one of her beloved family members. Stones measure approximately 1.5mm in diameter. The large snowflake measures approximately 21.5mm tall and the small snowflake is about 17mm tall. Measurements include the loop but not the jump ring. Available in all 12 genuine birthstones or all 12 simulated birth months. 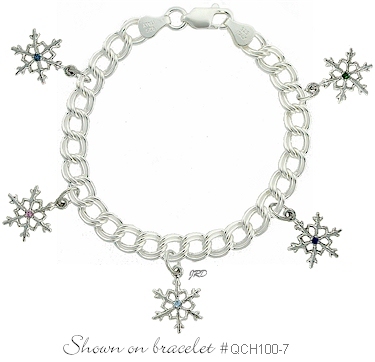 Add them to mom's existing charm bracelet or create specialty snowflake bracelet. Optional bracelets are available. Note: All simulated stones are faceted. Show on optional charm bracelet. Optional Charm bracelets are available.